The presence of an initial odor. If you’re expecting a baby, you probably already made some sort of list with the things you will need for the first year of his life. One of the most important products on that list is the baby crib, because that’s where he’s going to spend most time. In this review we’re going to take a close look at the Stork Craft Portofino 4-in-1 Fixed Side Convertible Crib, so you can easier decide whether it’s the perfect choice for your kid. 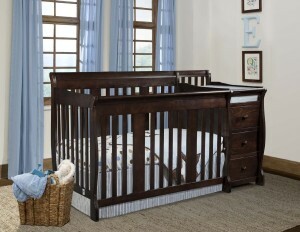 When choosing a crib for your baby, one of the most important aspects to consider is adaptability. Your child will grow a lot in the first few years of his life. This is why going for a convertible model will always be the smartest decision. It’s important because the crib will, preferably, grow with your kid and transform into a toddler bed and full size bed. This aspect alone makes convertible cribs a high value for money option. Besides turning into a toddler and full size bed, the Stork Craft Portofino has the ability to turn into a day bed too. It’s designed really well, so you can put it together and adjust as your kid grows pretty easily. The installation process is quick too. Once you get it and open the box, you will most likely have it built in about 2 hours. It has many pieces but the instructional manual is easy to understand. Another important benefit of this crib is that it comes with an attached changer with drawers. It’s a pretty convenient feature, especially if your nursery is limited on space. In that case, getting an additional changer that runs along the wall would take up much more of your space, and would, of course, come at an extra cost to you. If you decide to purchase from Amazon, it might be eligible for free replacement parts. Most parents thought that the installation process was pretty quick and straightforward. They didn’t experience a lot of difficulty putting the crib together. Some parents said that when their kids grew and didn’t need to sleep in the crib any more, they could easily convert it into a toddler, and eventually into a full size bed. Most parents who already went through this process think that it looks just as great as a full size bed, as it did as a crib and toddler bed. One of the more common situations of young parents nowadays, is the lack of space, especially for families living in urban areas. Apartment living, in so many cases, forces you to adopt a more space efficient lifestyle. The Stork Craft Portofino offers just that, with its attached changer. Most parents were really happy with this added feature and said that their small nursery looks bigger and is even better organised. Preponderantly, parents who couldn’t have fitted a lot more furniture into their nurseries were very pleased with this crib. 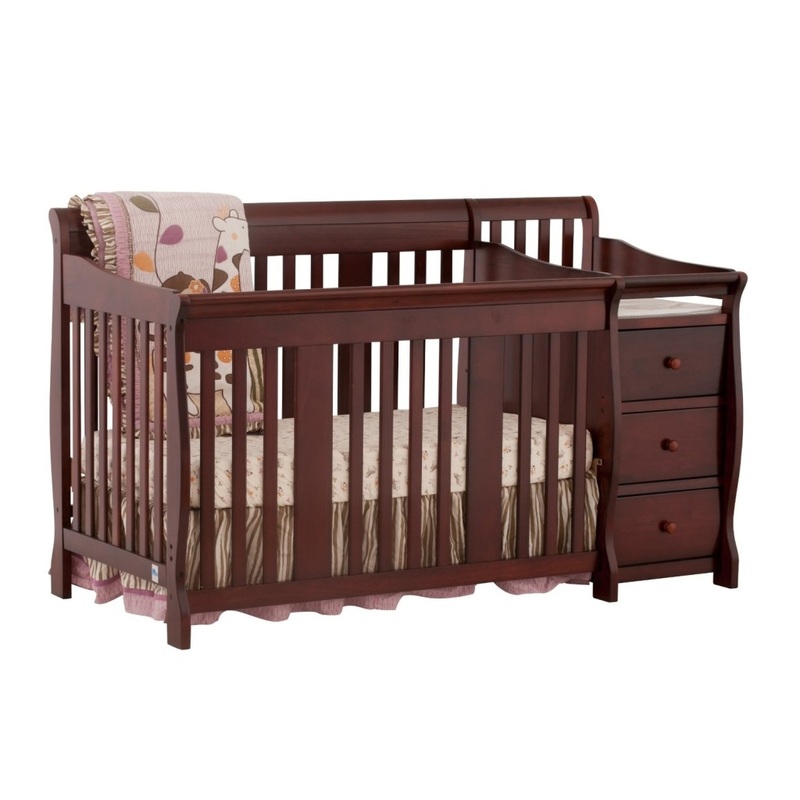 Many reviewers of this crib mentioned that they were generally pleased with the quality of this product. 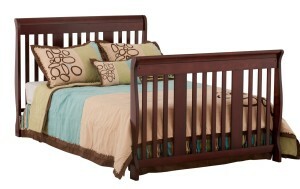 They thought the crib was pretty sturdy once assembled and they also liked the color a lot. By the way, it comes in 3 color variations: cherry, espresso and white. If you think there are some weaknesses with the Stork Craft Portofino Convertible Crib, you guessed right, because there were some reviewers that mentioned some. The weakness that was mentioned most is the initial odor of this product. Some reviewers said that the smell was pretty aggressive, but it went away after leaving the nursery window open for a week. How big of an issue this is going to be for you is hard to say, because when it comes to an aspect like odor, it’s a bit different for everyone. Another weak point that some reviewers mentioned was the size of the changer. It’s smaller than most stand-alone changers. This is a weakness for some, but an advantage for others. It depends a lot on the size of your nursery. Overall, after taking an in-depth look at the Stork Craft Portofino Convertible Crib and analyzing many reviews of parents who have purchased it, our conclusion is pretty clear. It’s a great value for money choice for any parent, and an especially good choice for parents who are restricted on available space in their nurseries.